Today marks our half way point of the first 10 days of our 2017 kick start and I am challenging you to try something new. Step out of your comfort zone and go challenge yourself in a way you never have before, and do it this weekend. The thing with fitness is you need to find something that you enjoy so that it does not feel like work. You should have things that you look forward to doing on a weekend, or after a busy day at work because why would we add more stress to our lives? You can’t completely eliminate those dreadful and intense workouts that we hate every minute of but love when they are finished, but adding in one or two workouts a week that you enjoy is key to success. This weekend, get out and try something different. Maybe it is a new yoga class, a barre class, rent some snowshoes, or walk a new route you never had. Make a promise to yourself that you will go into whatever it is you are trying with an open mind. For me I am going to take downhill ski lessons. I have snowboarded for years but skiing is one thing I have always wanted to learn. And sucking at something is my favourite thing! No pressure and absolutely zero expectations! It is because I love to try new things that I have learned how to mountain bike and skate-ski in these past few years and also why I have found a new love for yoga. Get out there, motivate yourself all week to have fun this coming weekend and keep your questions coming! 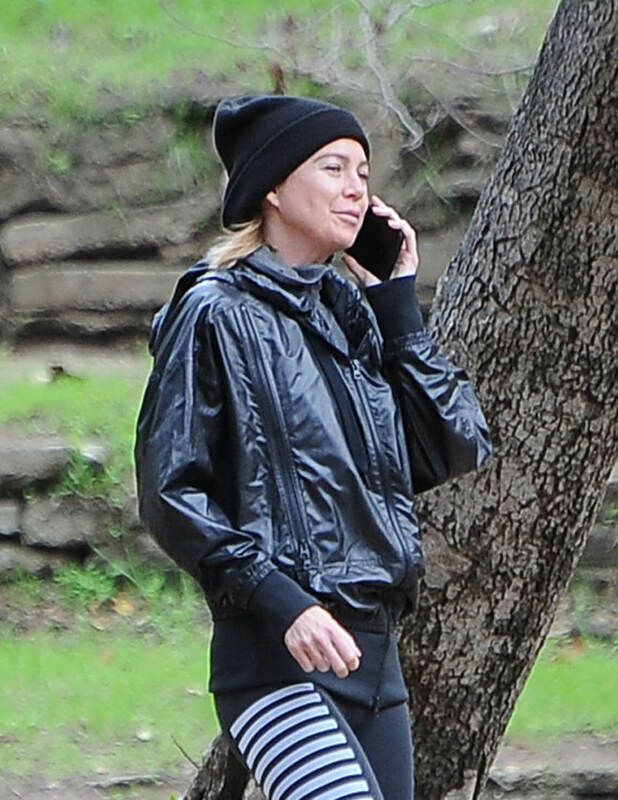 Attached - Ellen Pompeo out for a hike with family and friends the other day in LA.